Mar 02, 2000 in "Mission: SPACE"
Walt Disney World is about to boldly go where it has never gone before with a space-exploration attraction that has intrigued NASA. The Space Pavilion, expected to open at Epcot in 2002 or 2003, would feature a series of interactive exhibits and shows describing space exploration, culminating in a motion-simulator ride similar to what NASA astronauts use to prepare for space flight, according to sources familiar with the project. Though details are still being worked out, Disney is moving ahead with the $150 million to $200 million project and has already begun preliminary work inside the horizons Pavilion, sources say. horizons, which has been closed for months, depicted the sites, sounds and experiences of the future. High-level Disney designers met Friday with the director of the Kennedy Space Center to discuss the proposed Space Pavilion. The officials agreed that the project could be "mutually complementary" to both Disney and NASA, said Jim Ball, acting head of public affairs for the Kennedy Space Center. Disney could benefit by incorporating NASA's latest space technology and astronaut-training methods into the pavilion, while NASA could draw on Disney's extensive marketing power to help promote its space program. "There's no agreement per se, other than an expression of willingness on our part to see what we can do to help them with this," Ball said. "Outreach is a very important part of the NASA mission -- to let people know the value of space exploration. . . . Obviously this represents a tremendous opportunity for outreach for NASA." At the meeting at Cape Canaveral, Disney officials, including Walt Disney World design and engineering vice president Greg Hale, had "preliminary discussions" with Kennedy Space Center director Roy Bridges about the proposed project and NASA's possible role in it, Ball said. While no agreement was reached, the two sides plan to meet again in May. "It was a very positive meeting," Ball said. "Mr. Bridges was very interested in the project and very grateful that we were invited to be involved in this." While NASA's role hasn't been defined, it's unlikely the agency will be a financial backer for the new pavilion. Disney has already lined up Compaq Computer Corp. of Houston to be a sponsor, sources say. A spokesman for Compaq could not be reached for comment Wednesday. NASA has worked with Disney on other projects, including showcasing some of its technology at the Land Pavilion at Epcot in the early 1980s and at annual Space Week exhibits at the theme park. Disney officials would not discuss details of the Space Pavilion or Friday's meeting. "We are not prepared just yet to talk about that project, and we don't know what we'll do with that space, but I can promise you it will be an out-of-this-world experience," Walt Disney World spokesman Rick Sylvain said. 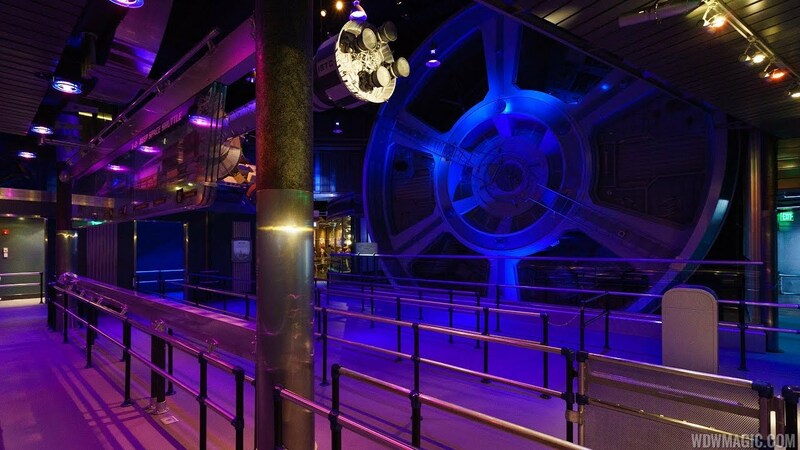 According to sources, guests would enter the Space Pavilion and pass through a series of high-tech interactive exhibits about space exploration. One section, for example, might feature a show re-creating experiments from an exploration to Mars or the Moon. After learning about the astronaut-training process and mission preparations, guests would board space pods to experience the main attraction, Mission Space. Modeled on the next generation of space craft, the pods would take passengers on a simulated space mission in which they would experience g-forces and momentary weightlessness. The story line may tie into the upcoming Disney movie, Mission to Mars, though that and other details may change as the project develops. Mission Space will add another major e-ticket ride to Epcot, complementing Test Track, the high-speed car ride that opened last year. It will also be Disney's answer to The Amazing Adventures of Spider-Man ride at Islands of Adventure and the soon-to-open Men In Black ride at Universal Studios Florida, said Peter Stapp, director of operations planning for Baker Leisure Group, an Orlando theme-park consultant. "It's a matter of theme parks keeping up with each other," Stapp said. "I think Disney is raising the bar to the next level."